Heavy gauge hand-glazed steel under body. 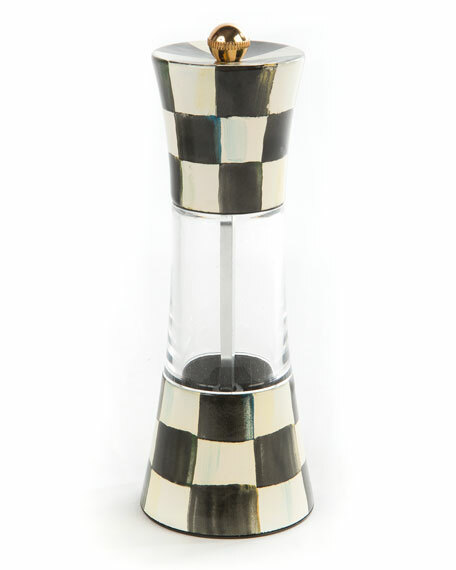 Hand-painted with courtly check decoration and acrylic construction featuring a ceramic grinder. 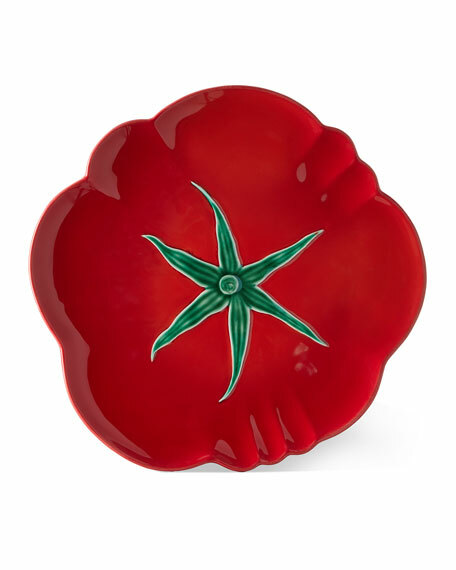 Bordallo Pinheiro Tomato Pizza Plate, 11.5"
Handcrafted tomato pizza plate. Hand-painted earthenware. 11.8"Dia. x 0.8"T. Dishwasher and microwave safe. Made in Portugal. 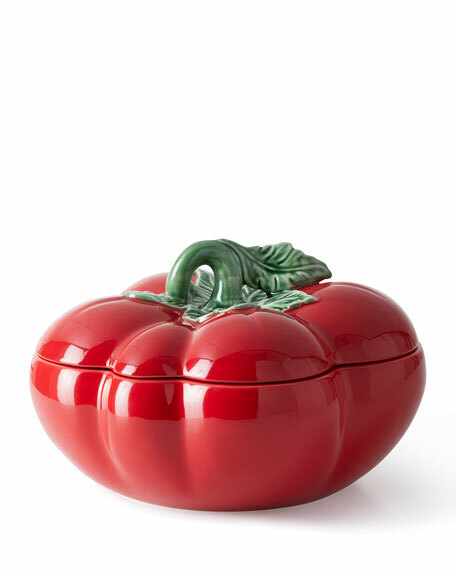 Bordallo Pinheiro Tomato Tureen, 11.6"
Handcrafted tomato tureen. Hand-painted earthenware. 11.6"W x 11"D x 4.3"T. Holds 152 ounces. Dishwasher and microwave safe. Made in Portugal. 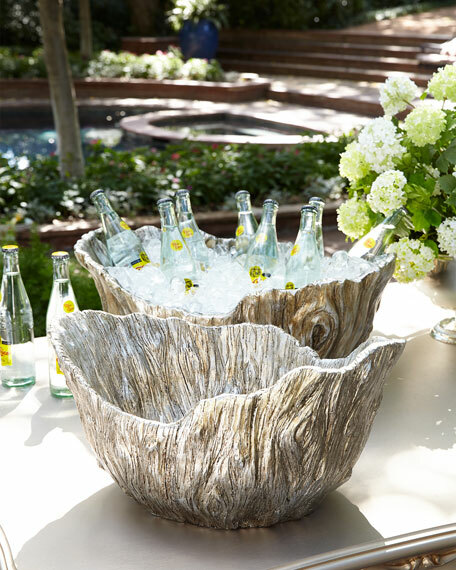 Handcrafted nesting drink tubs. Hand-painted and carved resin. Set of two. 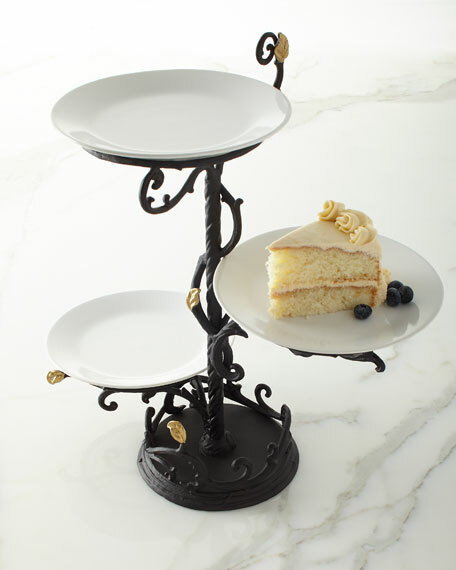 Each: 22.3"W x 16.8"D x 9.8"T.Imported.